We typically post our Required Reading entries on Mondays, but we didn’t want anyone mistaking this week’s lineup for an April Fools prank. 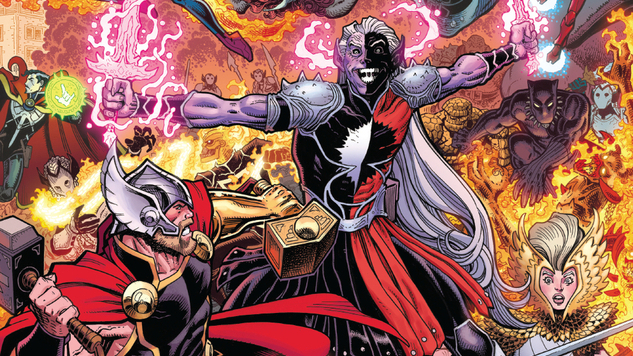 The first Wednesday in April officially kicks off the long-teased The War of the Realms at Marvel, following years of groundwork from writer Jason Aaron and a Norse pantheon of artistic talent. Also out from the House of Ideas is Major X, the latest project from fan-favorite Deadpool creator Rob Liefeld. If hammer-swinging epics and excess pouches aren’t your thing, AHOY Comics kicks off its second wave with ‘70s nostalgia, Top Shelf imports an award-winning Brazilian fantasy tale, Box Brown lights up First Second with a marijuana graphic novel and BOOM! Studios’ Archaia imprint returns to the world of Jim Henson’s The Storyteller. All of these and more await you in this week’s Required Reading.